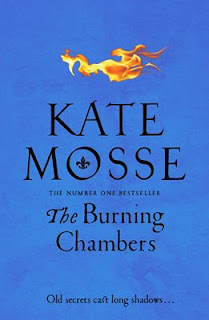 Kate Mosse’s lengthy new novel – all 575 pages of it – is the first part of a trilogy which will, once completed, cover a span of three hundred years. 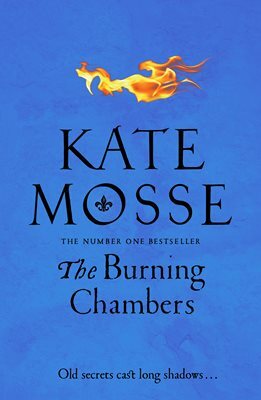 The Burning Chambers is set mainly in 1562 in France, at the beginning of the vicious and devastating wars of religion between Catholics and Huguenots which saw thousands slaughtered over more than 30 years and would end with the Protestant king, Henry of Navarre, allegedly announcing that “Paris is worth a Mass” as he changed sides to gain the throne. But the prologue is set in a cemetery in Franschoek in 1862, and hints at what is to come in later books as the Huguenot diaspora brought many French Protestants to South Africa. Apparently it was a visit to Franschoek for the Literary Festival that put the idea into Mosse’s mind. The French wars of religion create a fascinating background for her tale of Minou Joubert, the daughter of a bookseller in the south-western French town of Carcassonne. He is a tolerant man, but something has happened to him, making him suddenly remote and depressed. Minou tries to help by running his bookshop, but one day, a mysterious note is left on the mat, saying: “She knows that you live”. Minou has no idea what it means, though we are alerted the possibility of ancient secrets. Parallel with Minou’s story is that of Piet Reydon, a Huguenot living in nearby Toulouse. Here Mosse paints in the religious background with considerable skill. She is far too good a writer to make all the Catholics bad and all the Huguenots good, though there is no doubt where her sympathies lie. The Huguenots, by sheer force of numbers, would always be the underdogs in the conflict, but atrocities were committed by both sides and motives were not always obvious.